Fig. (1) (A) Map showing the collection sites, Buleji and Paradise Point on the coast of Karachi. Inset: showing the coastline of Pakistan. (B) Dorsal and ventral view of the shells of three major Thais sp. 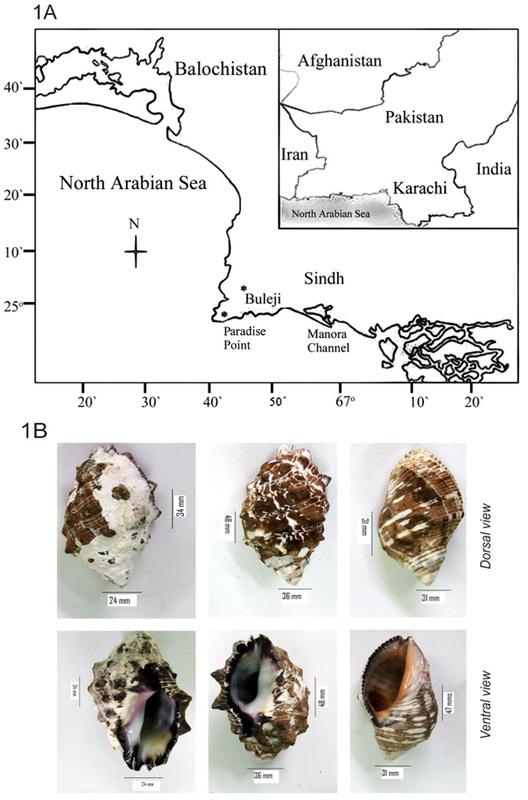 collected from Buleji site Karachi, Pakistan and used for shell-based morphological identification.